Reading Festival was the second festival I ever went to – my first was Sziget in Budapest (a pretty awesome first festival!) in 2007, followed by Reading in 2008. I really didn’t know what to expect back then for my first British festival and hoped it would be like Sziget – lots to see and do, good food, and plenty to explore and enjoy during the day. I found Reading Festival to be completely different – the bands were amazing for the 2008 lineup (Rage Against The Machine were the best band I’ve ever seen live at a festival) but it was very much more focussed on the music than having lots of different acts and activities like Sziget did. And the atmosphere on Sunday night was a little frightening (people set one of the nearby toilet blocks on fire…) – I was not expecting that. But overall it was a totally amazing time, and whilst I’ve mostly been frequenting the calmer, folkier festivals (three years of End of the Road festival, which I love! 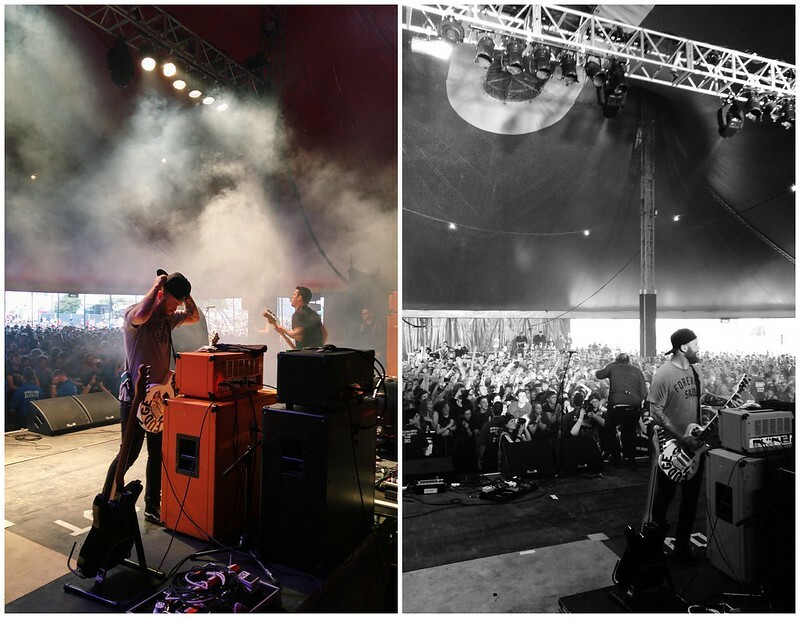 ), I’ve always fancied going back to Reading Festival one more time. So naturally, I jumped at the chance when my good friend Fleur offered me a guest pass for the Saturday and the Sunday this year. Fleur is one of my closest friends, but she moved to Ohio a few years ago so I don’t get to see her as much I would like. 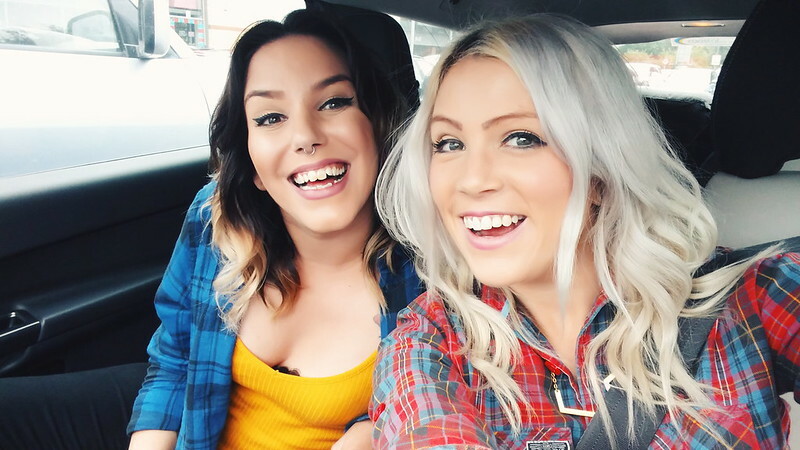 Her husband is the singer in the band Beartooth, so we were able to hop onto their guest list and rock up on the Saturday for a weekend of seeing awesome bands and having lots of fun. I picked up the lovely Soraya from Southampton at lunchtime on the Saturday and we arrived at the Guest Parking with no issues – easy peasy. What then followed was definitely not easy peasy. My FitBit says that I walked 15km on the Saturday, and most of that was the two of us walking with about 8 litres of liquids in a cool bag, a four man tent, three sleeping bags and two huge bags of our stuff. We got the boat up to the Green Weekend area only to have to walk all the way back to get to the Artists Entrance. I reckon it took about an hour in total to get there and get in. Not cool. We met Fleur at the Artists gate and then had to find the Guest Camping and put up the tent. In the drizzle. With some very limited instructions. Soraya and I are big Alexisonfire fans and both went to their Farewell gig last year in London (they had a reunion for some festival shows) so to hear them playing whilst we threaded tent poles through the tent in the rain was pretty heartbreaking! Luckily we managed to get the tent up and ditch our stuff in time to hear their last few songs. We then went on to see PVRIS (who are great – if you haven’t heard of them, definitely check them out (here’s one of my favourite songs – St Patrick). We then watched a bit of Atreyu and then Bring Me The Horizon. The Saturday night ended up being spent in the Guest area, where lots of gin was drunk and the night was a little hazy. I ended up being curled up in my tent by about 1am though – I’d like to say it was comfy but even my amazing North Face sleeping bag couldn’t make sleeping on that rock hard ground a relaxing affair! We all woke up, as you do in a tent, about 7am…. ouch! We were all looking forward to the Sunday as Fleur’s husband’s band Beartooth were playing, as well as my best friend Nicole’s boyfriend’s band, Bury Tomorrow. We went in search for breakfast at about 9am but after paying £2.50 for a green tea we couldn’t find much that was open. All the other youngsters were clearly still in bed! After a bit of wandering around we went back to the Guest Area for a nice sit down (this is how 31-year-olds do festivals – we get up when no-one else is awake and then prioritise sitting down!) We saw Against Me! first around lunchtime. I thought they were really good but there was a pretty small crowd which was surprising. By then we’d met up with Nicole and went over to The Pit Stage backstage area to prepare to see Beartooth and Bury Tomorrow. 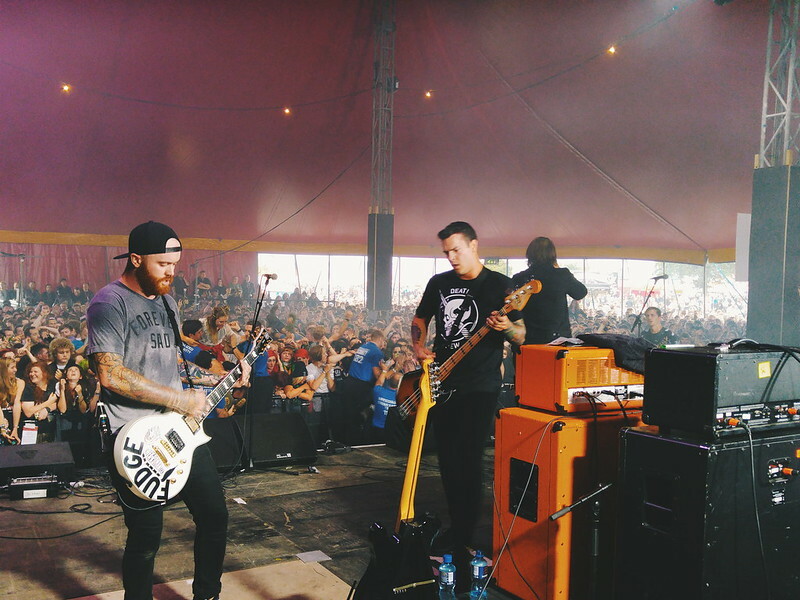 Beartooth played first and they were absolutely amazing, they totally smashed it. Bury Tomorrow played next and they were similarly amazing. I didn’t get any good pictures of them, annoyingly! It was so cool to be stood on the side stage with my friends seeing their husbands and boyfriends play Reading; it must be such an awesome moment for them. 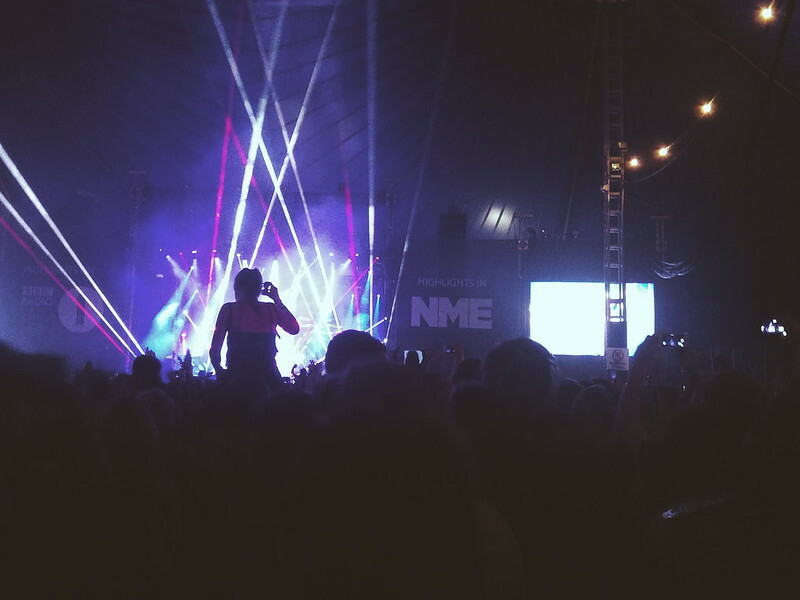 After a little bit of chilling out – and one of the best burgers of my life courtesy of Gourmet Burger Kitchen (best festival burger I’ve ever had), Nicole and I went to see Years & Years at the NME stage. I’d only heard a few of their songs so I wasn’t sure what to expect but they were really good. It was actually nice to see a bit more of a chilled, laid back band after all the metal, ha! 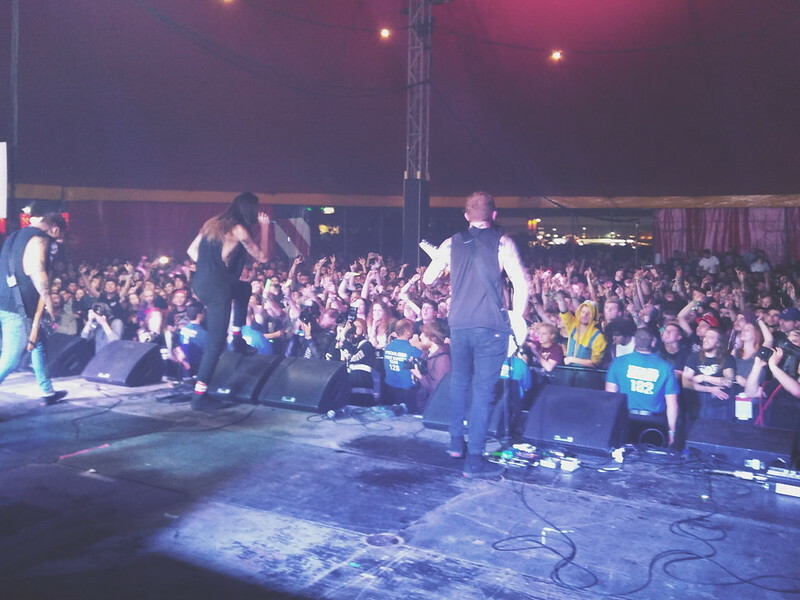 Then it was back on to some metal to see While She Sleeps play The Pit Stage. I hadn’t heard them before but they were awesome, really energetic and really got the crowd going. I was so happy to be back in my own bed when I got home (about 1.30 on Monday morning). Even one night of camping ruined me – this is why we go away in a van rather than sleep in a tent! 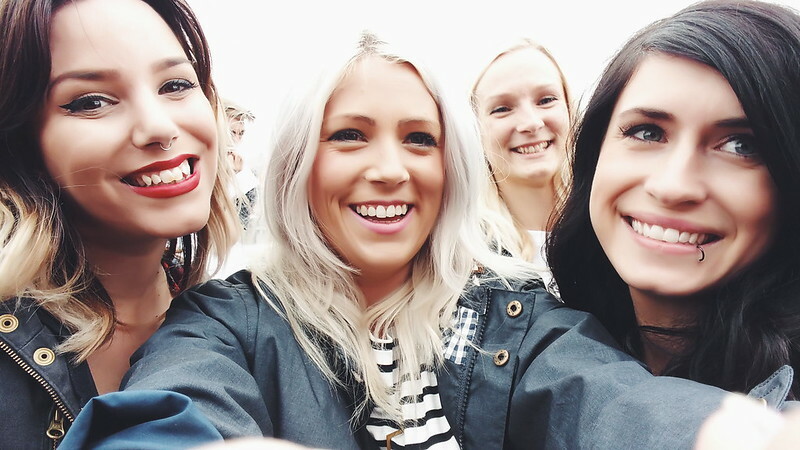 Overall it was such an awesome weekend – so nice to hang out with some of my favourite ladies. All my photos were taken on my new LG G4 – the camera is ace and I kinda love the ‘soft skin’ function a little bit too much, ha! Even soft skin mode couldn’t hide those bags under my eyes from sleeping in a tent though, ha! 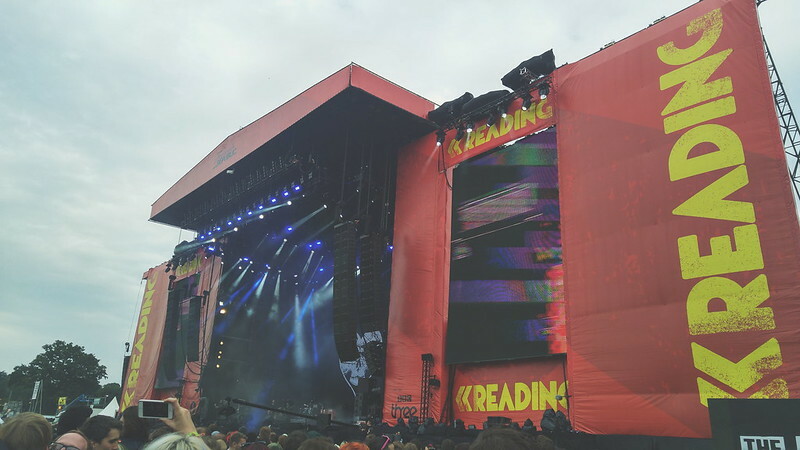 Have you been to Reading Festival before?